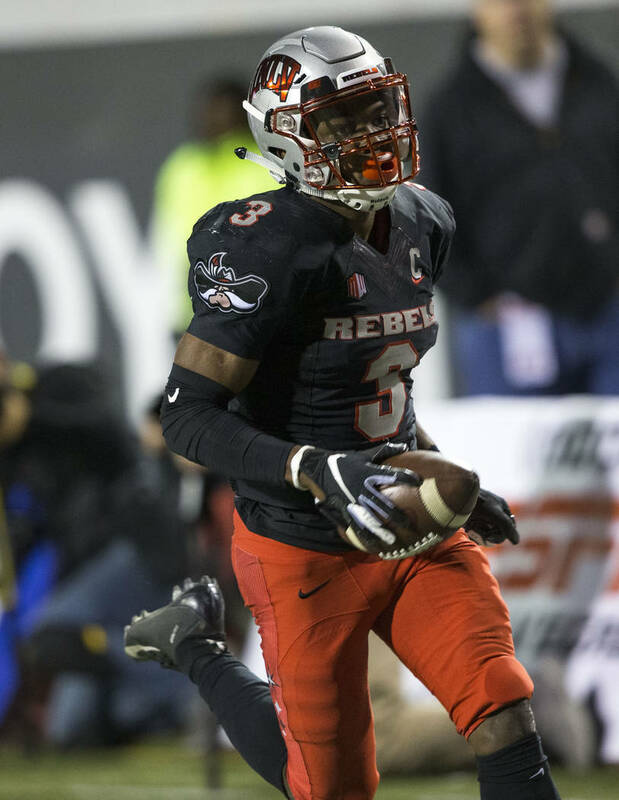 UNLV quarterback Armani Rogers accounted for five touchdowns, including the winning 3-yard rush with 2:34 left, to give the Rebels a 34-29 victory over UNR. The Fremont Cannon will be painted red. A 41-yard completion, a 33-yard run, a 26-yard touchdown pass, a 24-yard TD pass, a 46-yard scoring run. 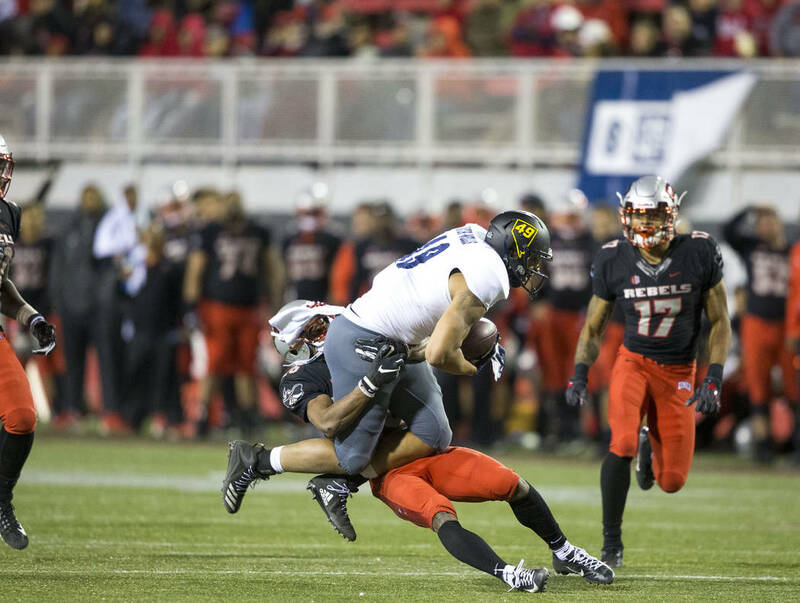 UNR came out with quite an opening shot Saturday night, with all those plays occurring in the first quarter. UNLV, with nothing to play for but pride, refused to give in, even as it fell behind by 23 points. 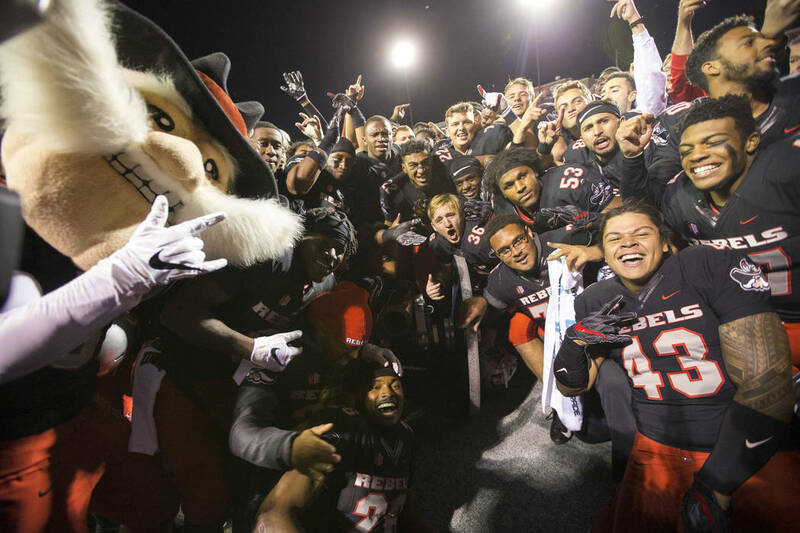 The Rebels roared back and pulled off the largest comeback in program history. 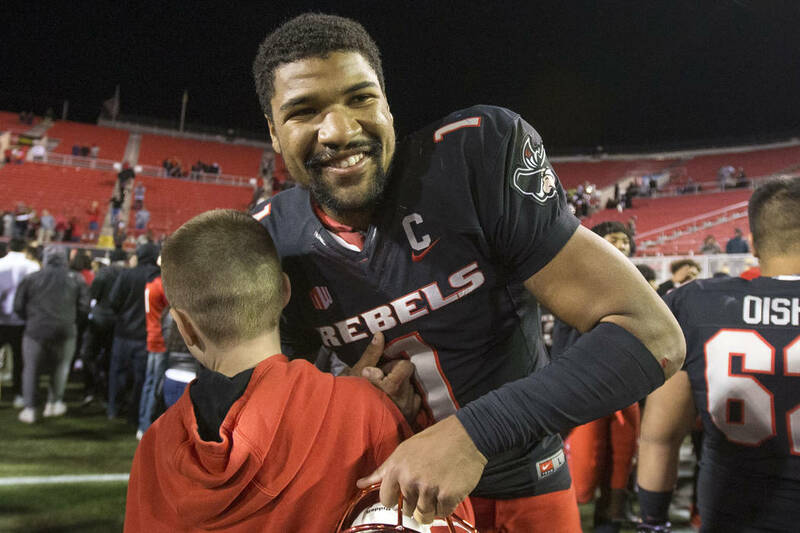 Quarterback Armani Rogers rushed for a 3-yard touchdown with 2:34 left to give the Rebels a 34-29 victory before an announced crowd of 19,921 at Sam Boyd Stadium. 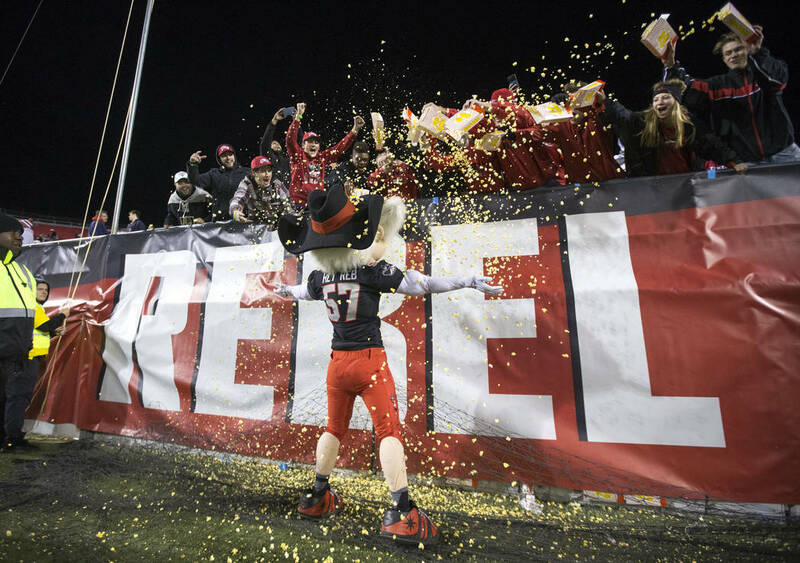 UNLV (4-8, 2-6 Mountain West) ended its season with possession of the Fremont Cannon, which soon will be painted red. Rogers accounted for five touchdowns, three passing and two rushing. He completed 13 of 20 passes for 172 yards. The comeback exceeds the previous record of a 21-point rally, which was done twice. The Rebels rallied from 21-0 down to beat Central Michigan 31-21 in 2013 and from a 35-14 deficit to beat Nebraska-Omaha 63-42 in 1976. 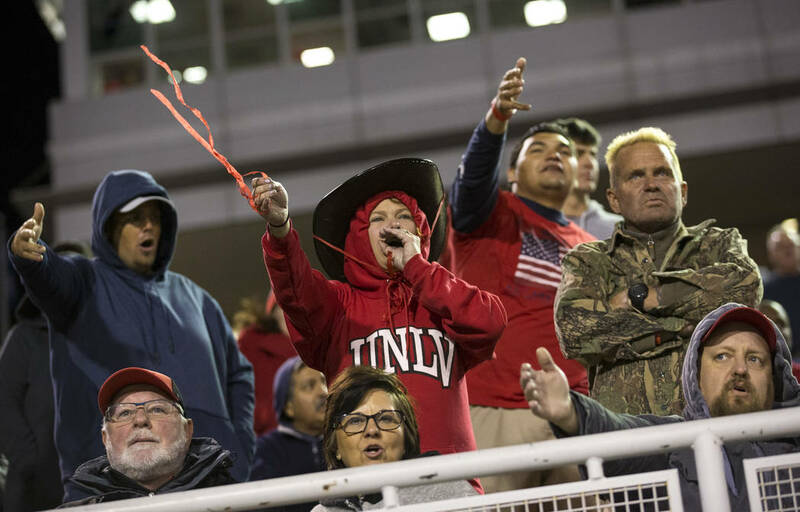 UNLV’s victory over heated rival UNR (7-5, 5-3) also give Sanchez ammunition for keeping his job for a fifth season, which is expected to happen. 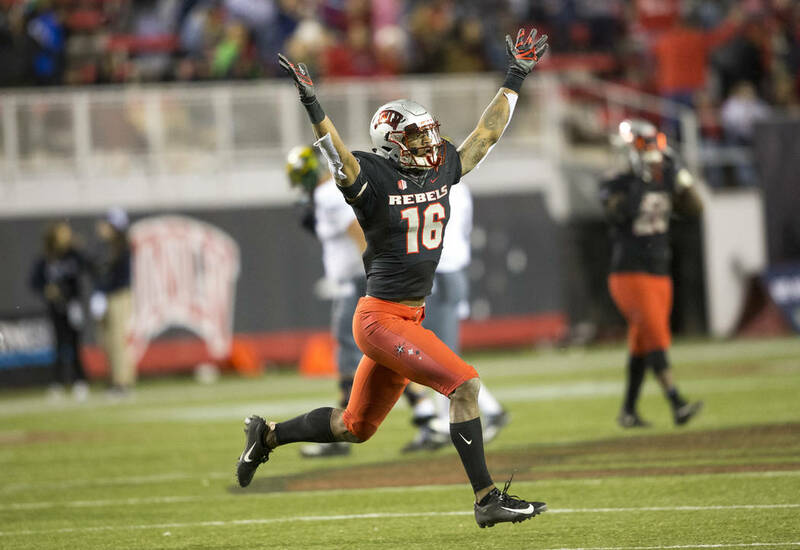 This is his second victory in the series, with the last coming three years ago in Reno, a 23-17 win. 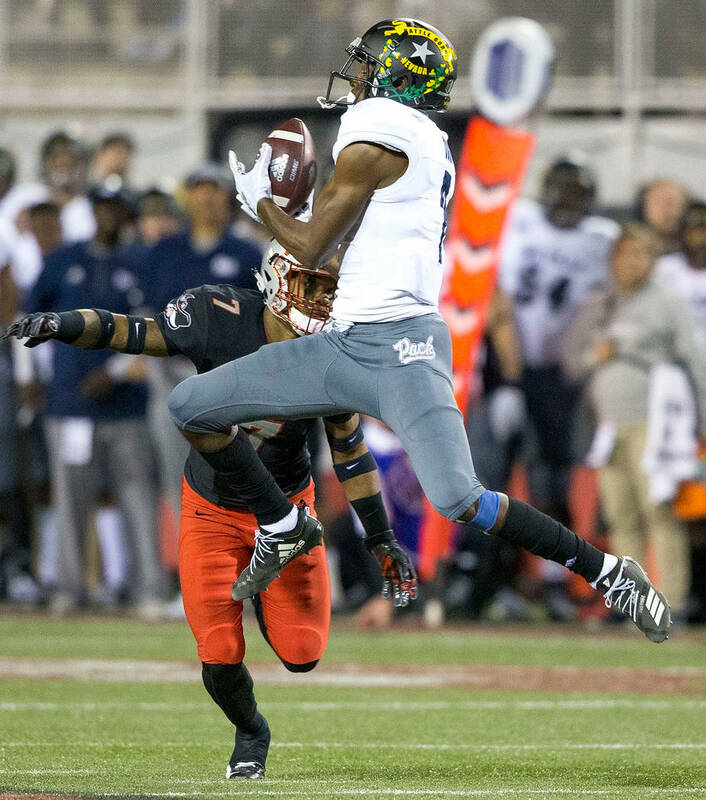 The Rebels also ended the season with two victories in their final three games, and they snapped UNR’s four-game winning streak. 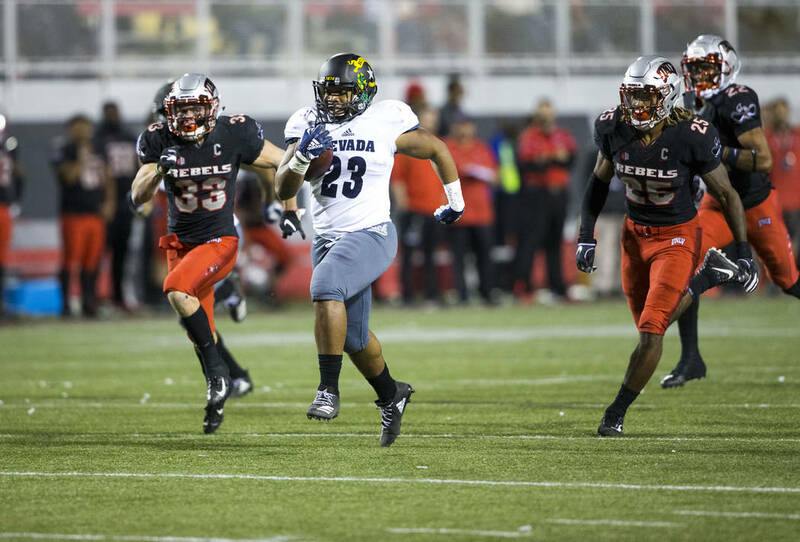 UNR took a 23-0 lead 48 seconds into the second quarter, and the night looked over for the Rebels. But Rogers threw two touchdown passes in less than three minutes to get them back in the game at 23-14. 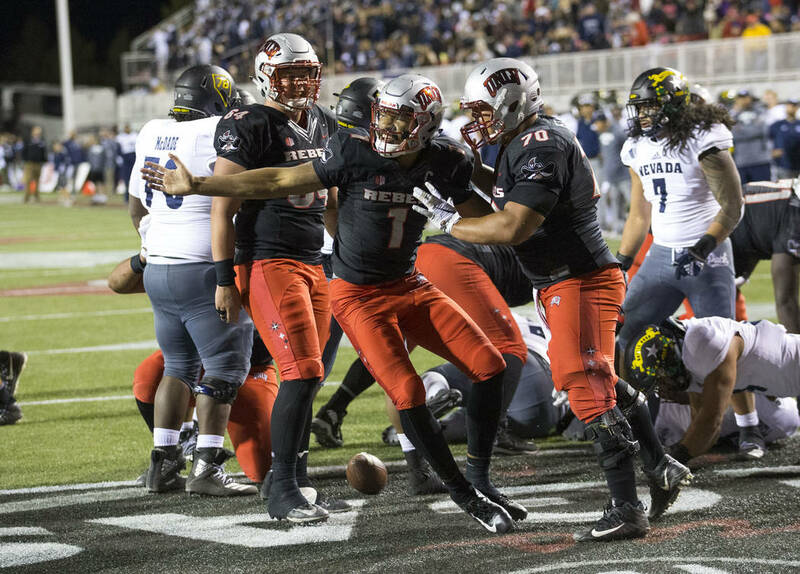 His 1-yard sneak with 3:34 remaining brought the Rebels to within two points before Ramiz Ahmed extended the Wolf Pack’s lead to 26-21 with a 26-yard field goal with 36 seconds left. 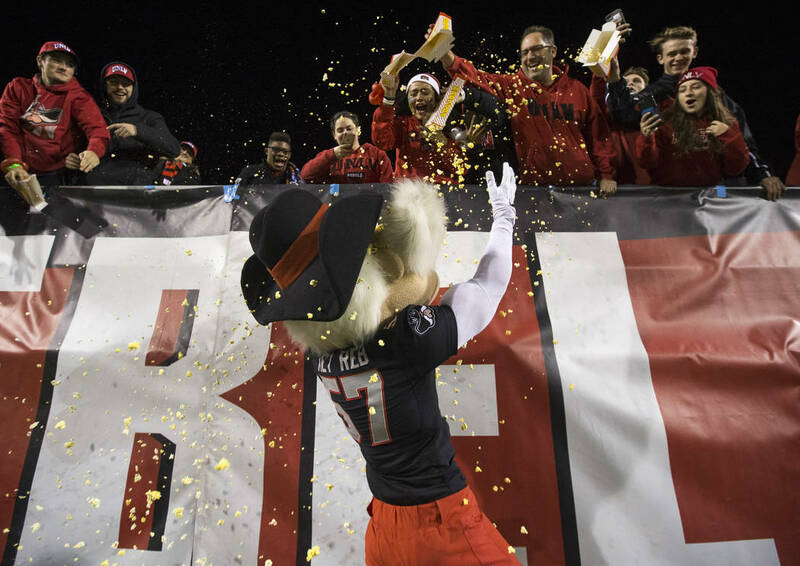 UNLV finally caught the Wolf Pack late in the third quarter when Rogers completed a 1-yard scoring pass to tight end Noah Bean to give the Rebels a 28-26 lead with 4:46 left. 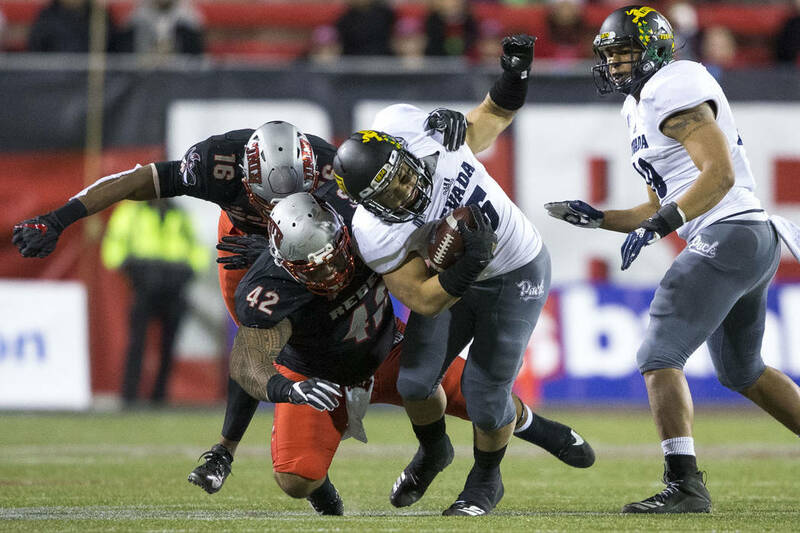 UNR regained the lead at 29-28 with 11:21 left in the game on Ahmed’s 36-yard field goal. 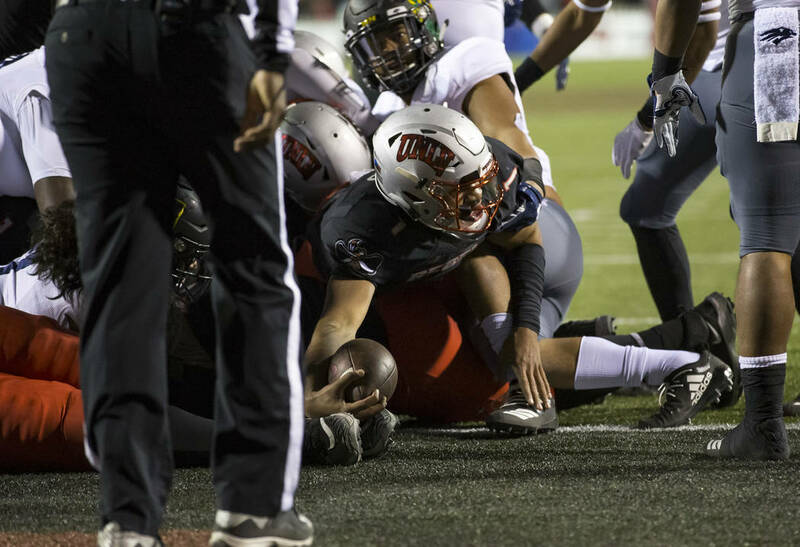 The Wolf Pack kept the drive alive by converting a fourth-and-1 when quarterback Ty Gangi kept the ball for a 3-yard run to UNLV’s 42-yard line. 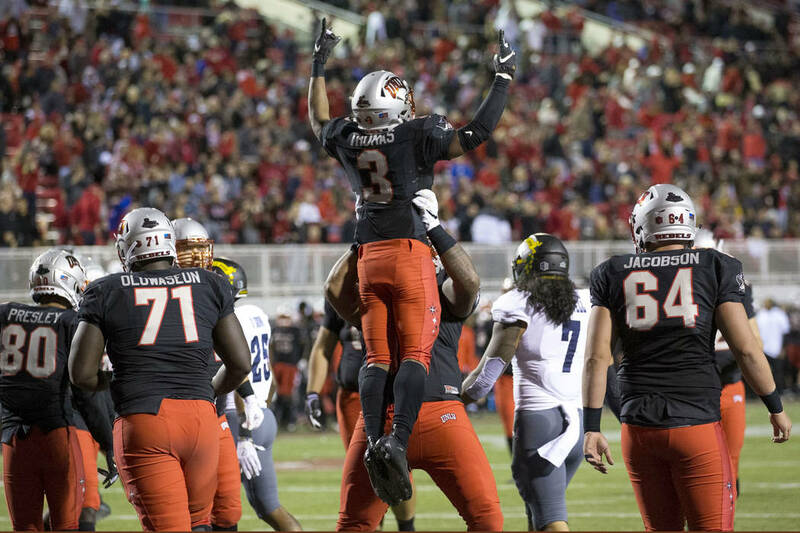 Just as UNR was driving to try to extend the lead, UNLV safety Javin White intercepted Gangi to turn back the Wolf Pack and give the Rebels a chance to win. They did just that, with Rogers running to the left side on the short scoring run. Then White intercepted another pass with 1:19 left to secure the victory.